Having made jam (and marmalade, pickles, chutneys and ketchups) for the first time ever in August, I’ve really caught the preserving bug. And it’s proving to be a perfect way to use and store our home-grown vegetables. 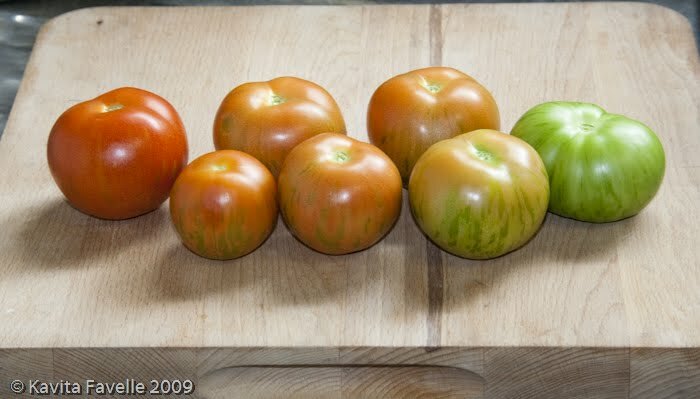 We planted our tomatoes out a little late this year so, although the yield has been fantastic, most have not had time to ripen. 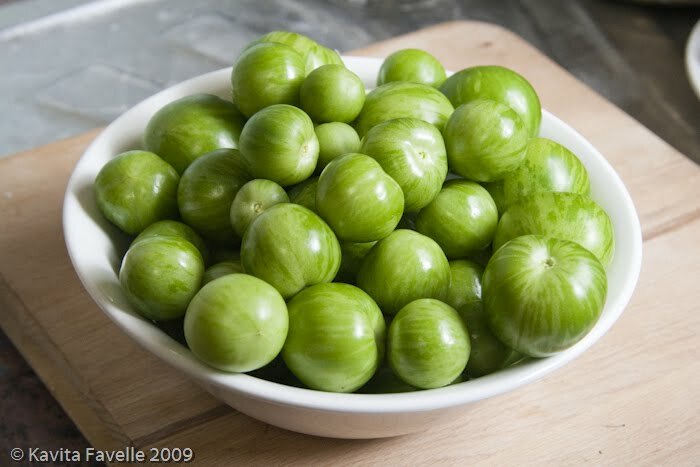 Back in September, I used some of our green tomatoes to make some chutney. I didn’t have all the ingredients for any of the recipes I had to hand so I decided to improvise. The result was even better than I expected; I’m so pleased with it! Place all the ingredients, except the sugar, into a pan and bring to the boil. Turn the heat down and cook covered until the tomatoes are soft. 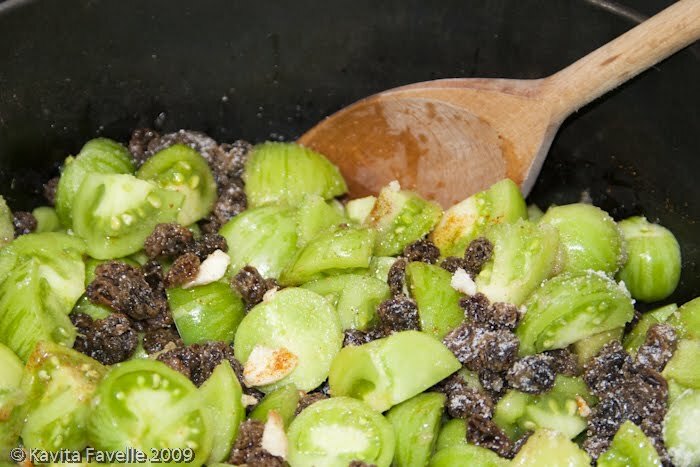 Uncover, add the sugar and boil briskly until the mixture reaches the desired consistency. Taste and adjust the seasoning, spices, sugar and/or vinegar, as required. Transfer into hot sterilised jars (both jars and chutney should be hot), seal and leave to cool. Label and store in a cool, dark cupboard. 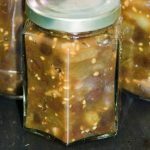 Note: I sterilise my jars in the oven, putting a tray of jars into a cold oven, setting the temperature to 160 C, and leaving the jars in for at least 10 minutes once the oven has reached temperature. The lids I boil in a pan and then lay out to dry on a fresh teatowel. The finished chutney is quite a dark one, with a strong flavour. 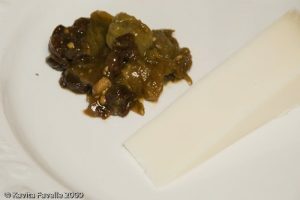 It’s kind of a mix between the flavours of a fruit-based chutney and the picquancy of Branston pickle. It makes a great accompaniment to strong cheese. 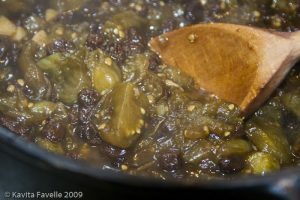 5 Comments to "Green Tomato & Raisin Chutney"
How wonderful to have your own tomatoes to cook with. I wish I were green fingered; I can just about keep herbs! yum. Wish I could taste it! 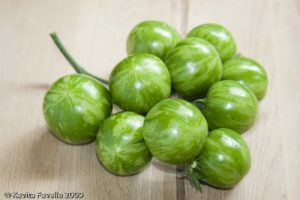 I adore green tomato chutney. I don’t often get a chance to make it, but this looks like a great recipe for those times when I can get my hands on the tomatoes.